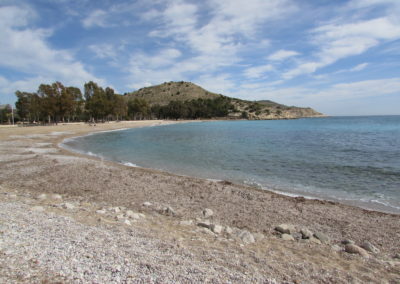 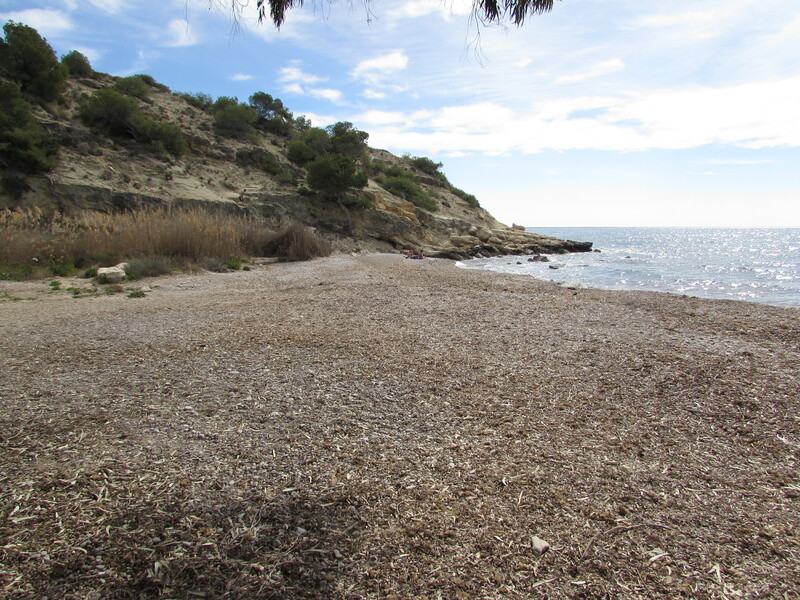 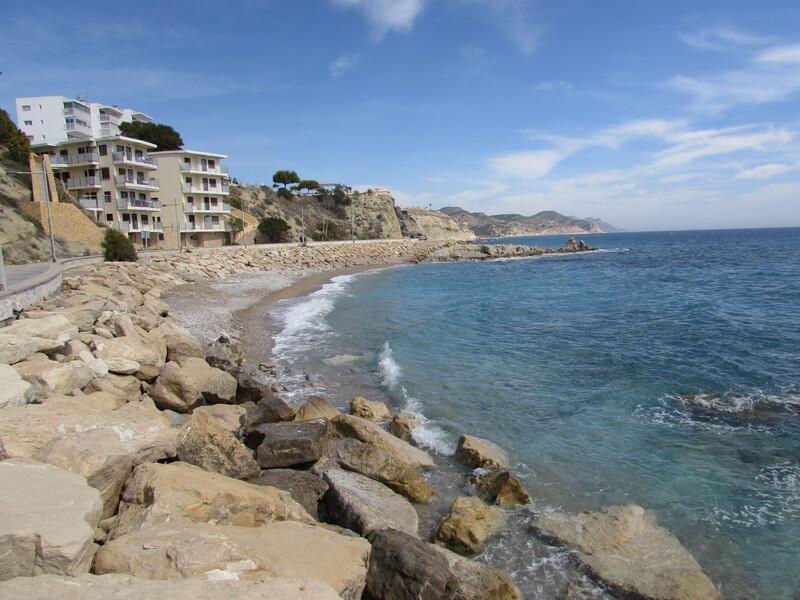 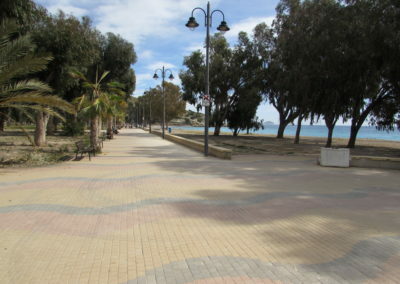 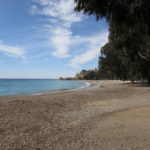 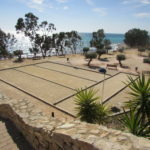 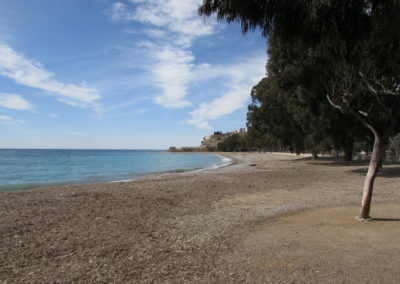 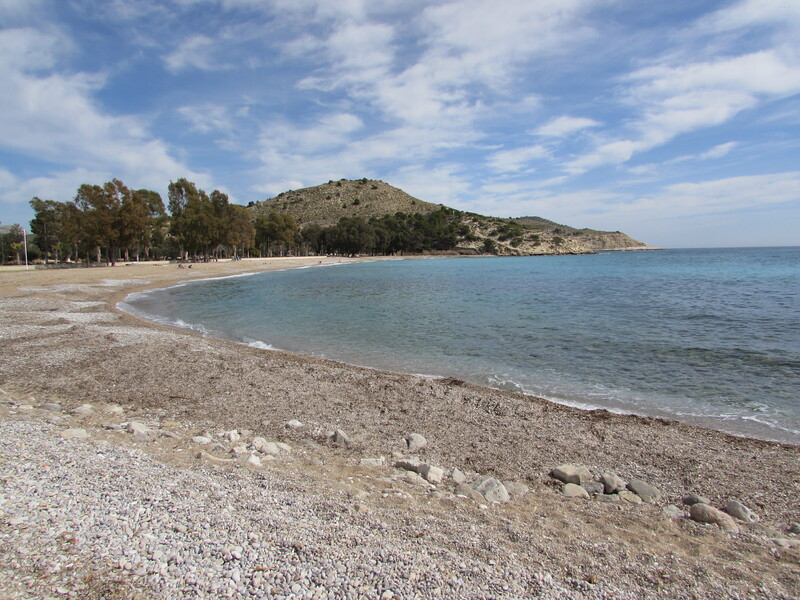 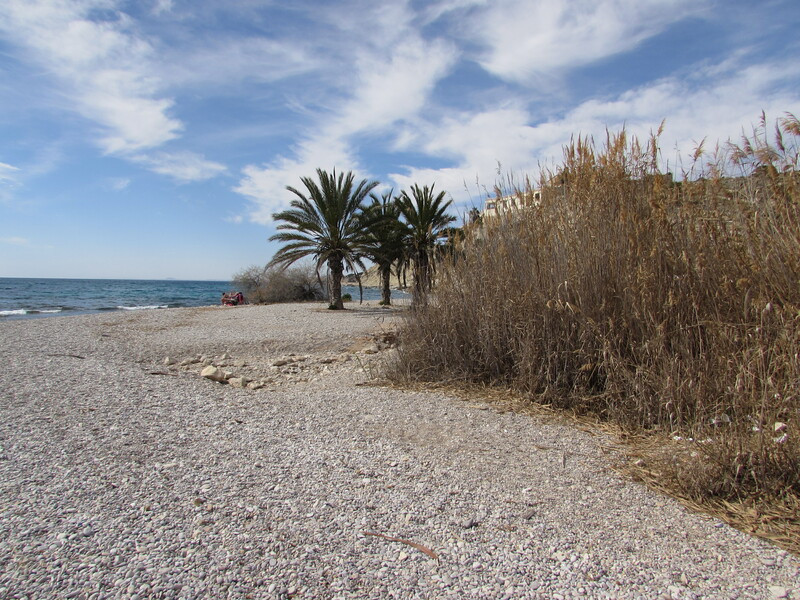 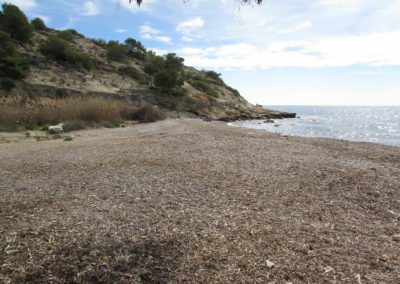 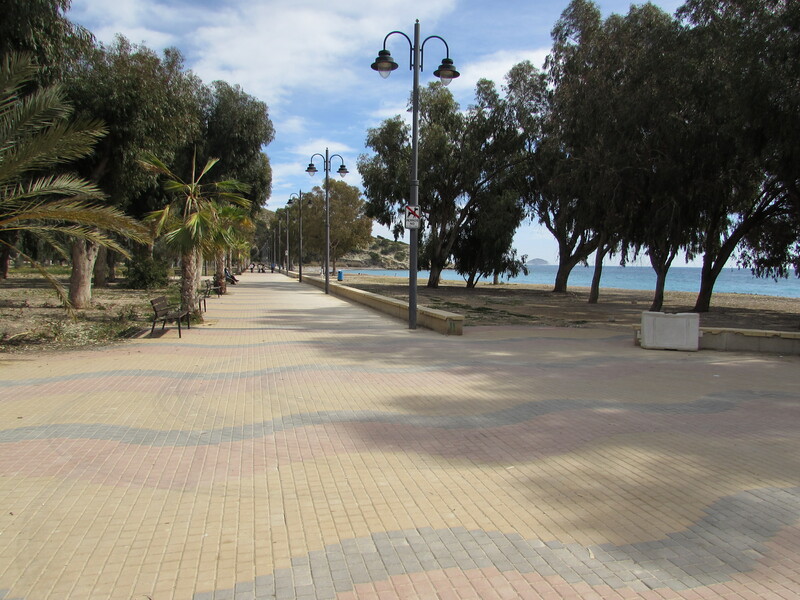 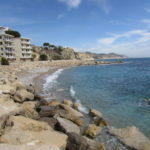 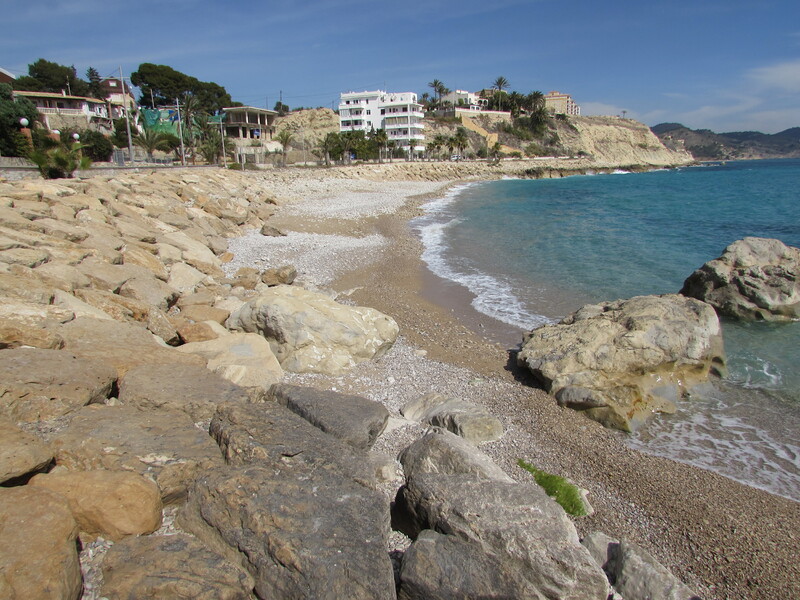 Torres beach – La Platja del Torres – is easy to find. 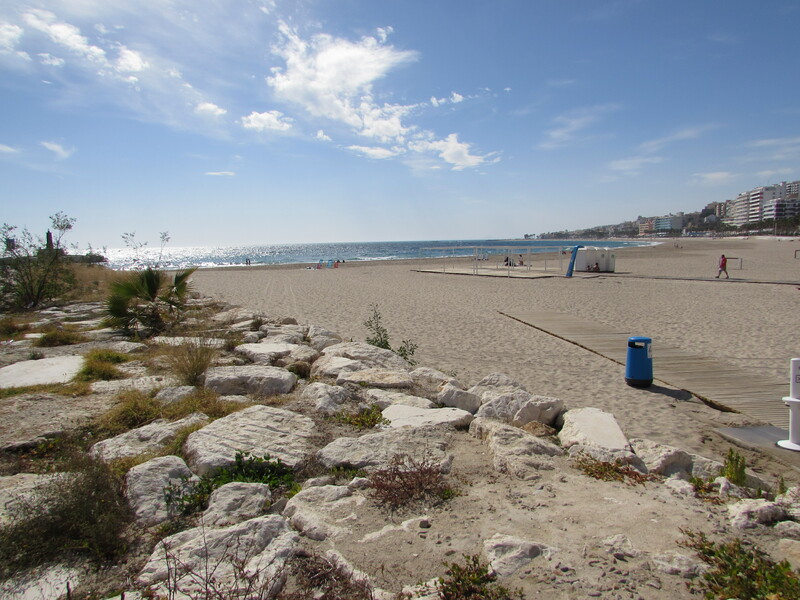 Take the road from Villajoiosa to Benidorm and turn off at one of two roundabouts where the beach is signposted. 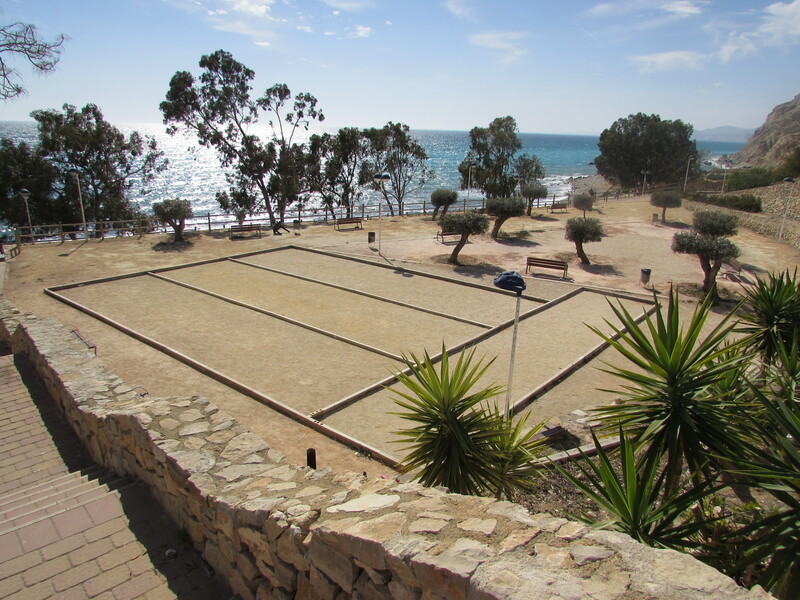 There’s an Autocaravan park just behind the beach and its bar/restaurant, El Trébol, is a good place for a meal or a snack. 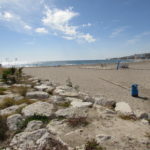 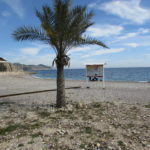 In summer, roughly May to September, there’s also a Chiringuito, temporary beach-bar, down on the beach itself. 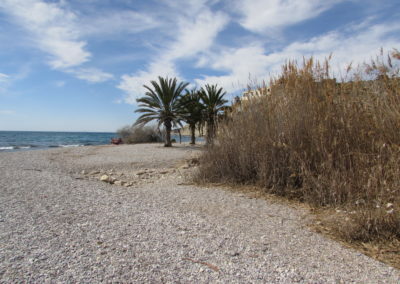 Favourite spot for a cold beer and a plate of grilled sardines! 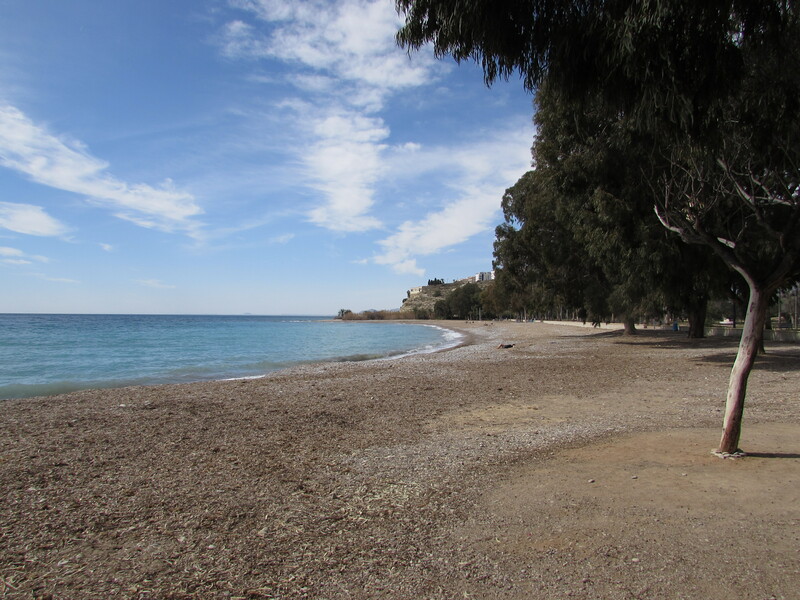 Swimming is good here - but it shelves, so not for weak swimmers.